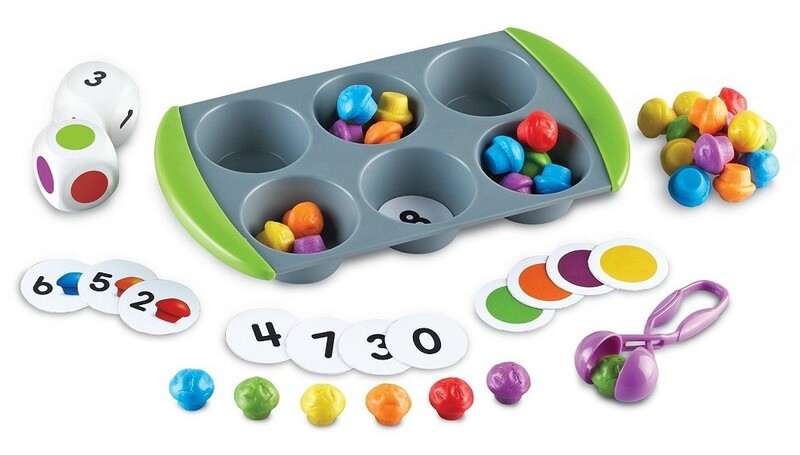 Develop a multitude of math skills with mini-muffin counters! 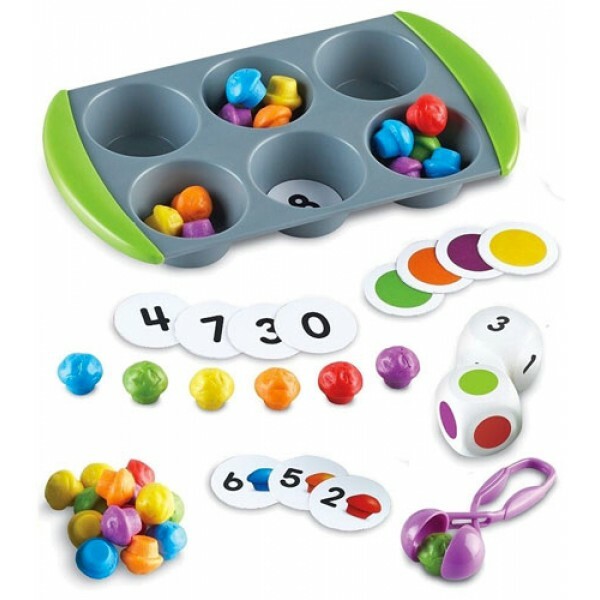 Different sorting-circle inserts boost color recognition, matching, sorting, counting, and early math skills. Included dice feature colors and numbers (0 - 6) allowing for group activities and game play. Squeezy Tweezers add to the fun and reinforce fine-motor skills! 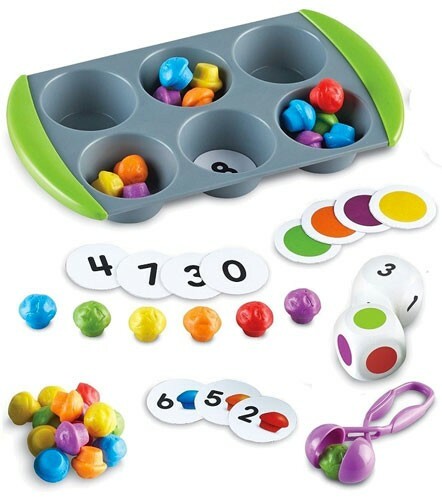 This set includes 1 muffin pan (including 6 muffin cups) with easy-grip rubber handles, 60 mini muffin counters, 1 Squeezy Tweezer, 2 foam dice (1 color cube and 1 number cube), 12 double-sided sorting-circle inserts, and an Activity Guide.